SMEA graduate student Jessica Hernandez was recently featured on the UW’s Race & Equity Initiative blog. 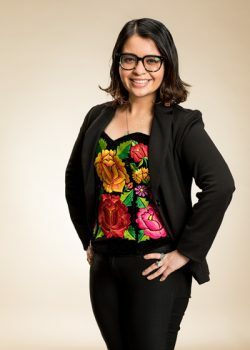 The piece titled New Course Shines Light on Environmental (In)Justice highlighted a course Hernandez developed along with Isabel Carrera, another masters student in the College of the Environment. The class “Decolonizing the Environmental Discourse” was offered winter quarter and examined environmental injustice from the point of view of decolonization, exploring the perspectives of the people and communities most affected by environmental practices, policies and hazards. At the end of the quarter, a two-day public symposium took place that extended the conversation beyond the classroom. Students presented case studies ranging from plutonium production near Native American reservations to pesticide exposure on Nicaraguan banana farms.